Anthony Clark, 31, from Georgia was caught by NYPD while trafficking a cache of guns and ammo into New York. The police found 11 guns in Clark's car that he bought at a gun show. The discovery of the weapons happened after Clark was pulled over in Staten Island on Monday afternoon, according to authorities. Also, sources say that Clark was on the radar of a Bureau of Alcohol, Tobacco, Firearms and Explosives field office, and was believed to be a trafficker of guns. The NYPD and ATF’s Joint Firearms Task Force were informed that Clark was on his way to NY from Atlanta, and they stopped his car to examine him. 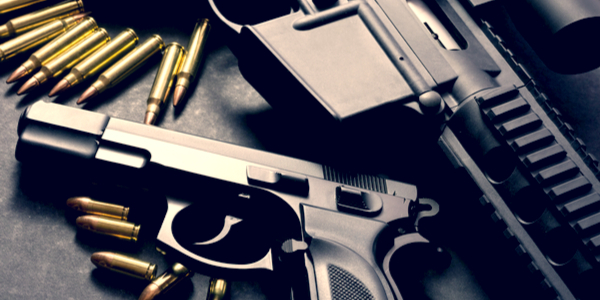 Guns trafficked from Georgia are often used in crimes committed in New York, and the guns found in Clark's car were from a newer model of weapons. In addition to the 11 handguns, police also found hundreds of bullets and two stun guns. Pending investigation, Clark will be charged for gun trafficking, and may spend several years in prison. His past will likely prevent him from buying guns under gun laws, and his records will become public records. Law officials and also people that Clark will meet during his life will be able to access the files, and find out about his criminal past. Gun background checks will also likely prevent him from purchasing weapons in many places, and also selling them to others. What is a Minimalist and Does Being a Minimalist Mean?